Cylindrical Fenders are employed for a wide range of berthing facilities for vessels of varying sizes as these fenders have lower reaction force at lower energy levels. 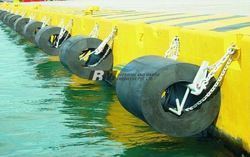 “DIPTI DCY series Cylindrical Fenders are very commonly used and recommended for all types of applications to ensure a safe berthing for a variety of vessels. DIPTI DCY series Cylindrical Fenders are commonly used fenders recommended for all types of application to ensure a safe and linear berthing for the different kind of Vessels. 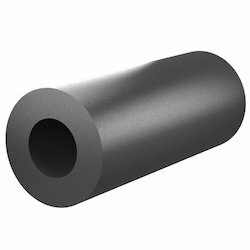 We manufacture all types of cylindrical rubber fender. Ship Cylindrical Fenders have Protected ships and wharves for more years than any other fender type. "DIPTI DCY series Cylindrical Fenders are commonly used fenders recommended for all types of applications to ensure a safe and linear berthing to a variety of vessels. Cylindrical fenders are commonly used fenders which ensure a safe and linear berthing for different kinds of vessels. Cylindrical (extruded) fenders are an economical solution to protect most berthing structures, and offer ease of installation. - Very robust and simple fender type.